This pen was kindly sent to me by Glenn of Triumph Vintage Pens. For reasons unknown to me, the video file was lost on a hard drive and only recently rediscovered… So I thought I would upload it all the same! 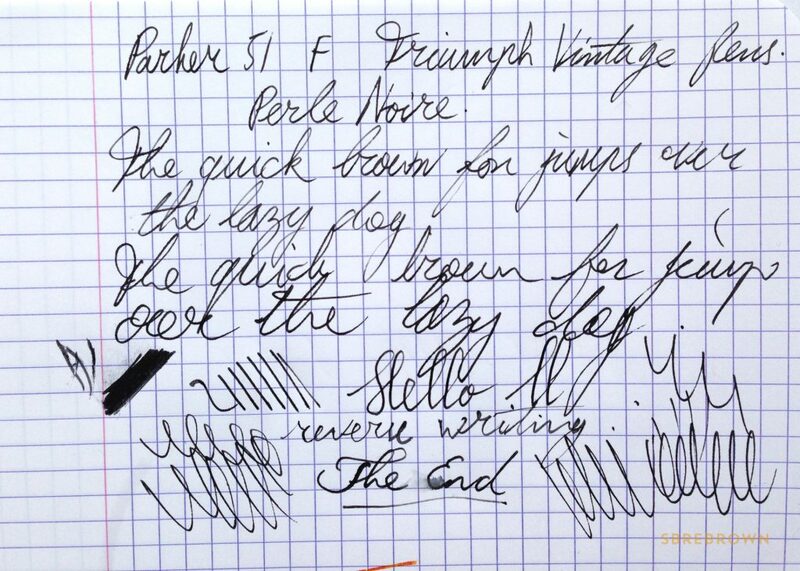 This entry was posted in Fountain Pens, Reviews and tagged 14K Gold Nib, Aerometric Filler, parker 51, Restoration, Triumph Vintage Pens and Restoration on September 12, 2018 by sbrebrown.